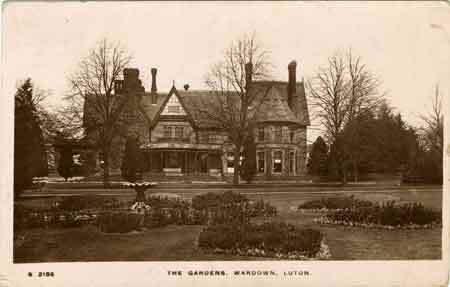 Monday 29th November 1915: It has come to the attention of Luton Rural District Council that the military authorities at Markyate are contemplating splitting up the military camp there and billeting two hundred men at Kensworth. Concern was expressed that the parish of Kensworth was unfit for billeting troops, and that if the military authorities died send troops there the Council should ensure only the better cottages would be chosen for the men. The Sanitary Inspector has spoken to the commanding officer and agreement was reached that any re-arrangement of the billets should be made with the co-operation of Council officials. Saturday 27th November 1915: A tragic and shocking accident took place yesterday evening at Messrs B. and J. Forder’s Brickworks at Elstow Hardwick. Eighteen year old Thomas Clarke went on duty for the night shift at 6pm. He was helping to start the machinery and checking that it was running properly when his coat caught in the shafting. He was flung against the wall, caught in the chain wheel and suffered terrible injuries. Dr. Roberts and the police were called and he was pronounced dead at 6.30. His injuries were such that there can be no doubt his death must have been instantaneous. William Watts of Houghton Conquest was on duty in the shaft house with Clarke. He states that they had put the belt on the fast pulley which drove the main shafting and that Clarke was aware the belt was moving. The fast and loose pulleys were outside the door of the building. The foreman says that Clarke and Watts should have gone round the outside to check the belts were working but instead they went into a tunnel to check the belts above. This tunnel was only intended to be used to oil the equipment during the day when the machinery was not running but the men had no orders not to use it. Watts stated at the inquest that both the foreman and manager had seen him going in the tunnel and had never warned him against it. A verdict of accidental death was passed and the jury gave instructions that the doorway of the tunnel should be bricked up and the shafting guarded. Friday 26th November 1915: Brave Gravenhurst soldier Private Cyril Parrish of Gravenhurst exclaimed cheerfully “Come on, boys; take my rifle, I am going for a little holiday” when he was hit by a bullet while guarding a trench. Seriously wounded when the shot entered the side of his neck just below the ear he was unconscious for four days. 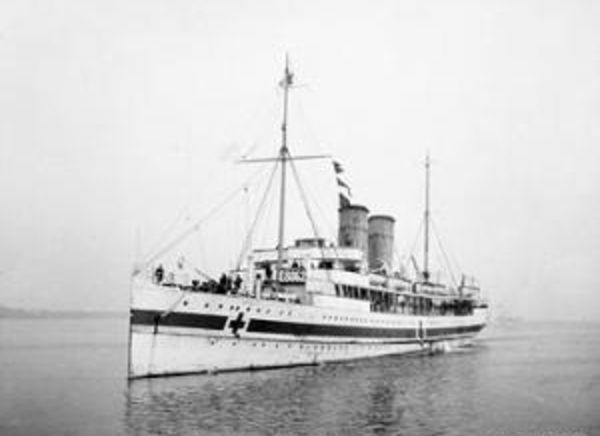 However Private Parrish’s bad fortune turned to good when his evacuation to England was delayed as there was no room for him on the hospital ship Anglia; as the Anglia crossed the Channel on 17th November carrying 390 wounded officers and soldiers it struck a mine and sunk within fifteen minutes with the loss of 134 men. Private Parrish is now waiting for an operation at Taplow Red Cross Hospital. His mother has visited and found him very ill but most cheerful. The young man was in Canada at the outbreak of the war and joined the 2nd Canadian Battalion. Wednesday 24th November 1915: All three brothers of the Pinney family of Luton have now been wounded in the present conflict and one has spent over a year as a prisoner of war. Private Arthur Pinney of Windsor Street joined the 1st Bedfords eight years ago. As a reservist he returned to his regiment on the outbreak of war and went through some of the heaviest fighting during the first few weeks before being wounded in the chest and taken prisoner. Before the war he was working for the British Gelatine Company. His brothers Percy and Wilfred were both sent out to the Dardanelles with the 1st/5th Bedfords. Percy was wounded at Suvla Bay in the first days of fighting; he has now recovered and been sent back to Gallipoli for another go at the Turks. 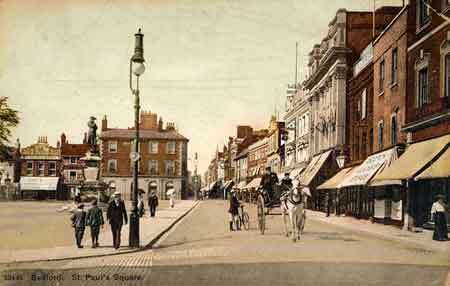 Wilfred was wounded at the same time as his brother; he is still recovering in hospital at Tooting. Private Bert Payne, the husband of the Pinney brothers’ sister Emily has suffered the same fate as his brother-in-law Arthur. Another reservist of the 1st Bedfords employed at the Gelatine Works, he was also taken prisoner during the early days of the war. Tuesday 23rd November 1915: School teacher Miss Mabel Bosence of Heath and Reach has been fined ten shillings for riding a bicycle without a light at Heath on November 14th. As Miss Bosence was unwell Mr George Hubbard, who was with her at the time of the offence, appeared in her place and pleaded guilty on her behalf. Special Constable Arthur Rolls of Rushmere was on duty on Bird’s Hill when he was approached by some cyclists. Miss Bosence’s bicycle showed no light and when he felt the top of her lamp it was quite cold. Mr. Hubbard gave his name to the Constable and said he would take all responsibility. He told the court he had asked the Constable to feel inside the lamp and when he did so he found it was warm. The wick needed trimming and the light had gone out. As it was a moonlit night and the couple were riding together they had not noticed when this happened. 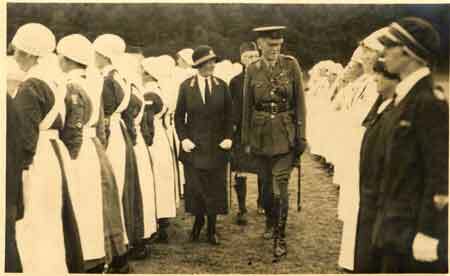 George Hubbard and Mabel Bosence married in the Leighton Buzzard area in 1917. 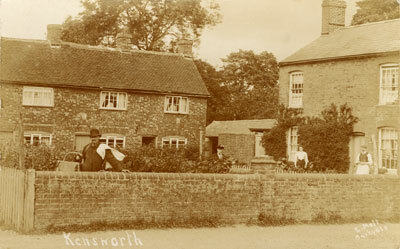 Census records show that George was born in Norfolk but by 1901 he was living in Heath and Reach where his father was a gamekeeper. In 1911 he was working in Penzance (Cornwall) as a newspaper reporter. This is presumably where he met Mabel who was a native of that town. Monday 22nd November 1915: The Biggleswade Chronicle continues to send regular food parcels to nineteen local men known to be prisoners of war in Germany. The contents and cost of this week’s packages are: bread (4d), butter (10d), cocoa (6d), loaf sugar (7½d), tinned herrings (5½d), cheese (6d), biscuits (9d), soup squares (6d), giving a total cost for each parcel of 4s 6d. The newspaper has also announced its intention to send a special Christmas parcel to all the boys on their list as prisoners of war and has managed to obtain some Christmas plum puddings from Messrs. Crosse and Blackwell which are specially made in tins for sending to prisoners of war. Woodwork instructor Mr. Arthur Moore has promised that his pupils will make boxes, which in addition to the puddings will be filled with other items to brighten the lot of the recipients. 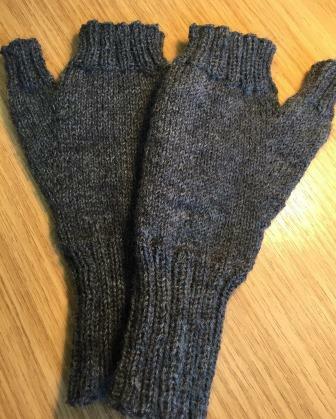 One of the parcels will also be sent to Private Jesse Brown of Langford, together with a pair of boots. Private Brown was repatriated in August as one of the disabled prisoners exchanged from German prisoners from England. He is crippled for life and readers will no doubt be anxious to know he has not been forgotten. 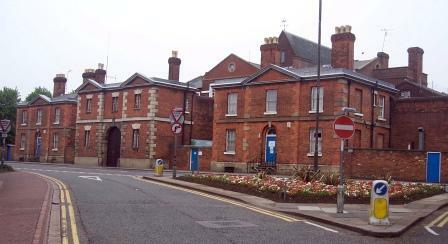 In news of individual prisoners, Private J. Cuffley of Shefford is incarcerated in the camp at Doeberitz. This is supposed to be the “swank” camp, with conditions better than others, but the men held there are still making appeals for food and some of the prisoners can be seen in a photograph wearing wooden shoes. Mrs. Rosa Cooper of Stondon has written a letter of thanks for the help given by the prisoner of war fund to her husband, Rifleman Arthur Cooper of the King’s Royal Rifles. Rifleman Cooper is a veteran of service in Bermuda, Crete and Malta and was a reservist when war was declared. He was sent to France within a week of being mobilised and was capture by the Germans on 3rd November 1914. His brother, Private Albert Cooper of the 1st/5th Bedfords, was involved in the fighting with the Turks. He was shot in the right eye and left hand and is now recovering in Alexandria Hospital. Sapper Alfred Godfrey, aged 32. Alfred served in the army for some years before the war. 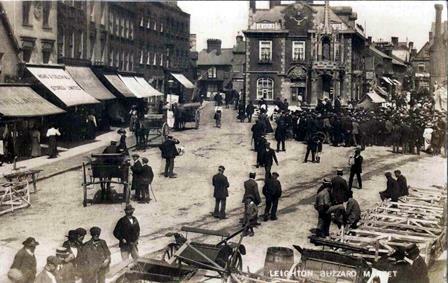 He was a member of the Leighton Buzzard Police Force before he was recalled to his regiment as a reservist in August 1914. About five months ago he was invalided home suffering from rheumatism, but is now back in barracks waiting to return to the Front. 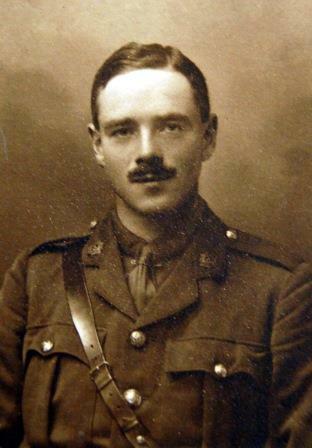 Sapper Percy Godfrey, aged 31. Before the war Percy worked for builder Mr J. Frost. He is married with four children who live with his wife in Butlin Road, Luton. He was an old Volunteer and joined the East Anglian Royal Engineers in January. He was sent to the Dardanelles from where he was hospitalised with poisoned hands and arms. He is now getting on well. Jack Godfrey, aged 29. Jack tried to join the East Anglian Royal Engineers, but was rejected on physical grounds. Sapper Oscar Godfrey, aged 28. Oscar is in the Royal Engineers, having joined up in September 1914. Private Harry Godfrey, aged 24. Harry joined the Royal Army Medical Corps last August and is now serving in the Dardenelles. His wife and children live in Chapel Street, Luton. Lance-Corporal Archie Godfrey, aged 23. Archie served before the war in the 3rd Bedfords and was called up as a reservist. He was transferred to the 1st Bedfords and sent to the Front. He was reported missing after the Battle of Ypres and nothing his since been heard of him. According to the War Office report he is missing “believed to be killed”. Sapper Percy Morris, son-in-law of the Godfreys, is also serving with the East Anglian Royal Engineers. His wife and family live in Hastings Street and he too follows the family trade of bricklaying. Sadly Mr and Mrs. Godfrey have also lost two nephews to the war: Private Horace Mardle of Caddington of the 1/5th Bedfords, who died at Gallipoli on 16th August; and Joseph Pashley of Nottingham who was killed in France in March serving with the Coldstream Guards. It seems John [“Jack”] Godfrey was later successful in joining the East Anglian Royal Engineers. He died on 24th July 1916 and is buried at Caddington. Archie was killed on 9th November 1914. His death is recorded on the Le Touret Memorial. Saturday 20th November 1915: A resolution passed by the Elementary Education Sub-Committee excluding under fives from public elementary schools with effect from 31st January 1916 has been the subject of discussion at a meeting of the Linslade School Managers. From this date no separate class for under fives will be funded by the Education Committee, and they may only be accepted at a school if it can be shown that their presence would cause no extra expense for teaching staff and would not interfere with the efficiency with which older infants can be taught. In this way it is hoped to release teachers for older children and alleviate the shortage caused by the loss of men who have enlisted. Although one member of the committee thought the provision was rather drastic and four would be a more reasonable cut off age, the Chairman thought education did not count for much before the age of five. Miss Greenway, the headmistress of Linslade Infants’ School stated that the school currently has 34 children aged under five on its roll; in her opinion early education counted in improving discipline. Other members argued that where children came from good homes it was better for them to stay at home until they were five, and another knew instances where a boy who was sent to school at the age of ten knew just as much as those sent at the age of four. Rigid economies have now been put in place by the Education Authority. In addition to the reduced allowance for stationery already introduced, no allowance is to be made in future for prizes, no school furniture is to be purchased except in very special circumstances, and schools have been instructed to economise in both fuel and light. Thursday 18th November 1915: An interesting war trophy has arrived at Bedford in the form of a German field gun captured in recent fighting in France in which the Bedfordshire Regiment was heavily involved. As a recognition of the regiment’s gallantry the gun has been lent to the regimental depot in Bedford. It arrived at the Midland Railway Station on Tuesday. Yesterday morning a company of the 2nd Bedfords marched to the Station and took possession of the gun. Ropes were attached to the gun carriage and it was pulled by a dozen soldiers from the yard. A procession was formed headed by the Regimental Band, which marched along Midland Road, High Street, St. Mary’s, and Cauldwell Street, and so to the Barracks at Kempston. The gun is numbered 2617. The words “Pro Gloria et Patria” are engraved on the muzzle; on the breech end bearing is a crown and monogram “W.R.” with an engraving of an eagle and the words “Ultima ratio Regis”. Although the gun carriage is damaged the gun itself is in perfect condition. This morning the gun was placed for inspection on the Market Hill in the High Street where it is attracting much attention and this morning the Band will perform a selection of music to entertain the crowd. Wednesday 17th November 1915: One of the difficulties facing the military authorities is the need to provide a satisfactory water supply for the various military camps established in the county. Clophill enjoys excellent water from the lower greensand and Ampthill Urban District Council has agreed that this may be conveyed to the camp at Haynes Park. The job of laying pipes was given to the Monmouthshires. Unfortunately Private Parsons, one of the Monmouthshire engineers, suffered a nasty accident while carrying out the task when one of his comrades, Private Parry, accidentally stabbed him in the knee with a pickaxe. Immediate treatment was provided by a military surgeon and the young man is now progressing well. Tuesday 16th November 1915: William Benjamin Reeve of Leighton Buzzard, who was found guilty last month of murdering his wife, was executed at Bedford Gaol at 8 o’clock this morning. The time between sentencing and execution was slightly longer than is usual as a fruitless appeal was made on the grounds that the Judge had misdirected the jury. During this time Reeve was an exemplary prisoner, facing the prospect of his terrible end manfully. He suffered greatly from the wound made when he cut his own throat with a razor, which caused him both pain and physical weakness, but made no complaint. He was visited daily by the Prison Chaplain, allowed to write letters, to converse with the warders, and to receive visitors. These included his parents, two married sisters, his brother George (the bandmaster of the Salvation Army in Leighton Buzzard) and three of his children - William, Florrie, and his eldest son, Corporal Charles Reeve of the Bedfordshire Regiment. Corporal Reeve was suffering from a wound received at Gallipoli and was allowed out of Hospital for the visit, a sorrowful occasion which ended in tears. The Chaplain led the way from the condemned cell to the scaffold reading the opening services of the Burial Service, as is the custom. Reeve followed, walking without assistance between two warders. Ellis was the executioner, and death was instantaneous. Charles survived the war, but his younger brother William Benjamin Reeve (who had been given money to go to the cinema on the day of his mother's murder) died in 1918 aged 18. Reeve's youngest son Stanley was just four years old when his mother was murdered and his father executed. One day some plucky survivor will write a book on ‘Army cooks’, and a wonderful book it should be. No man is ever appointed cook in the Army on account of any knowledge or previous experience of cooking. Often the dirtiest-looking man in the company is appointed, because the authorities feel that at any rate he can’t spoil a good tunic at his work. Sometimes a man is put on because he is a ‘hard case’, merely because he doesn’t fall in very well with company work, but never because he can cook. Our first cook was a painter by trade, and when he considered the stew had been mixed to a good colour, it was served up, regardless of taste. The M.G.S. cook’s genius lies in being a sort of Mr. Malaprop. Only a few days ago he told someone hotly that he wouldn’t ‘lower his dignity to do it’. Another tiem he assured someone that he couldn’t ‘dissolve that mystery’, and we all agreed that he was unconsciously comparing his problem with some of the soup compounds he is supplied with. But in times of great mental strain like those referred to, he is always consoled by being told, ‘Cheer up, Sandy: if you were shot tomorrow for being a cook you would die innocent’. Saturday 13th November 1915: Private William Pike of the West Riding Regiment returned home to High Street, Arlesey last week for the first time in five years. He enlisted eight years ago and was posted in Dublin when the war broke out. He was immediately sent to Le Havre and first saw action at Mons on 23rd August 1914. After the retreat form Mons he took part in the battles of the Marne, the Aisne, La Bassé and the first battle of Ypres, where he saw some of the fiercest fighting. He was at the attack on Hill 60 and witnessed the assault by some 600 British guns; after the hill was blown up he picked up the base of a 17 inch shell, which weighed 90lbs. At the second battle of Ypres he says “shells were dropping all around us and all the buildings were destroyed and we never expected to get away alive. It was here we saw some of the terrible effects of the gas, which came along in great clouds and which put many of the men in terrible agony”. In his fifteen months at the Front Private Pike has not received a scratch. He is now on his way back to France after enjoying eight days leave in Arlesey. Fortunately he is now based in a quieter area and in a much more comfortable position than a year ago. William Pike's army service record shows that he survived the war unscathed. Thursday 11th November 1915: The novelty of electric hand flashlights is proving too much of an attraction for some of the young men and boys of Luton. 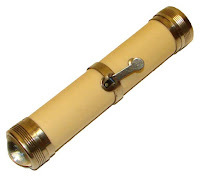 The Chief Constable already has forty confiscated torches in his office. While he has no objection to their legitimate use by elderly people who need to see their way on to the footpath when crossing the road, it is essential that they are kept down. Flashing them upwards was a different matter entirely. This has already meant a court appearance for Frederick Frank Atkins, who demonstrated his torch to some friends by flashing it about despite being near to a street lamp. On this occasion the Town Clerk decided not to press for a fine. Despite the lack of the usual celebrations the Church was crowded for the Harvest Festival services; this was despite the loss of seventy men to the Forces, including eleven who joined on October 3rd. Ten of the bell ringers have gone, along with nearly all the Band members. The war slides shown at the Parish Room have so far raised £1 1s 3d. In addition £6 2s 0d has been raised for the Red Cross Society by the sale of fruit of vegetables, from a concert got up by Miss Leach, and through subscription by the employees of Messrs Copping and Sibley. The Infant School has been closed for four weeks from October 27th due to an outbreak of whooping cough. Of these men only Lionel Miller, Walter Redman and Evelyn Ernest Arnold Collisson (son of the Rector Revd. Thomas Collisson) appear on the Gravenhurst war memorial. 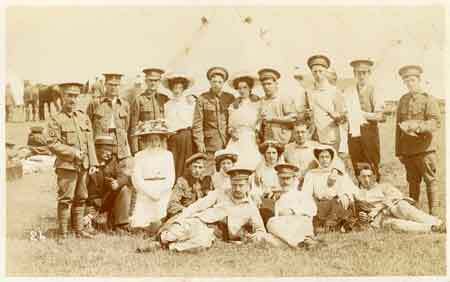 Informal group at a military camp, c.1914. Men wearing RAMC badges. “He was killed by a bullet in the head. It hit him as he was getting on the deck of the ship to the landing lighters. His comrades did not hear him make a sound, and did not know he had been hit until they were ordered to fall in, when they found they could not rouse him. We brought his body to this place today, and a chaplain has just taken it ashore for burial … I cannot say how grieved I feel at the loss of such a promising young life. He was greatly beloved by all of us, and we all mourn the loss of a faithful and trusty comrade”. The Betts family also have a younger son, Claude, who enlisted in the 1/5th Battalion of the Bedfordshire Regiment. As Claude is only 17 years old his mother has requested that he should be kept in England until he is older; he has been sent to the 3/5th Battalion which is currently stationed at Newmarket. The newspaper report give his age as 15 but other records show that William Claude Betts was born in 1898. He survived the war. 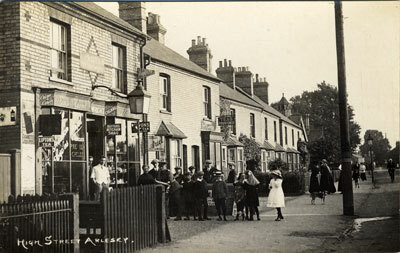 Friday 5th November 1915: George William Kilpin, the landlord of the Duke’s Head beerhouse at Aspley Guise has pleaded not guilty to opening the premises during prohibited hours on October 16th and to obstructing a police constable in the execution of his duty. P.C. 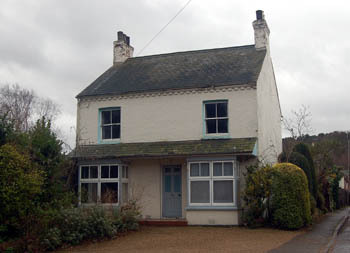 Stonebridge stated that at 11.30pm he was on West Hill, Aspley Guise and heard voices in Kilpin’s front room. Looking through a parting in the blind he saw Harold Bowler talking to Kilpin, with a pint mug of beer on the table in front of him. The policeman went to the door and Kilpin denied having Harold Bowler on the premises and refused to allow him to look round, shutting the door in his face. He pushed his way into the room and saw beer in the mug on the table; he then went to the back door and saw Bowler running across the yard and out of the back gate. He went after him and found him hiding near the corner of the gate. Kilpin’s solicitor pointed out that there was no offence committed in choosing to have a friend on the premises after closing time and there was no dispute that this is why Bowler was there, having been to the common with Kilpin to see a sickly calf. There was no attempt at concealment – the lights were burning in the house and the conversation was loud. There was no evidence that drink had been sold to Bowler and Mr. Kilpin had no recollection of obstructing the constable, only that there had been some “conversation” as to whether Bowler was in the house. At this time it was literally true that Bowler was not in the house as he had left and was in the yard. He admitted to a lack of tact, but it was pointed out that an argument over whether the policeman was entitled to enter the private parts of the house was not the same as obstruction. 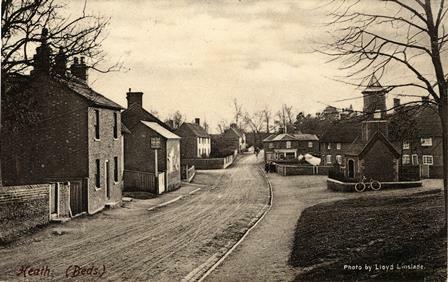 Kilpin stated that he had been the tenant of the Duke’s Head for ten years and also occupied land in the village. He had asked Bowler to go with him to give a drink to a sick calf, being short of labour since his brother had left him due to the war. When they got home he had asked Bowler to help with some threshing the next day. Before leaving Bowler went into the house to “speak to the missus” and left just as the knock came at the door. 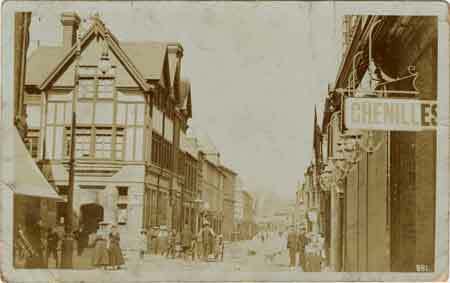 The policeman had told Bowler “I have got you for being on licensed premises during prohibited hours”, to which Bowler responded that he was not on licensed premises. Bowler had promised to attend Court but for some unknow reason had gone to Woburn Park instead. The magistrate announced that they were inclined to convict Kilpin, but adjourned the case to allow Bowler to be summoned to give evidence.